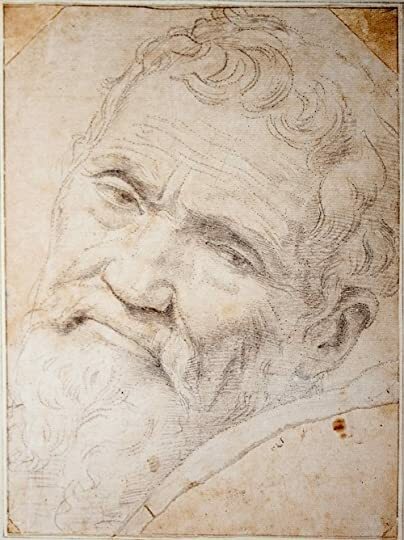 Michelangelo di Lodovico Buonarroti Simoni was born in Florence on March 6th, 1475. It was a fortuitous time to be born. He was coming of age just as the Renaissance was beginning to take full flight. His family was an ancient family, as old as the famous Medici family, but they have fallen on hard times by the time Michelangelo’s father became the patriarch. There had never been artists in the family, so the desire, nay the need, to create that existed in the young Michelangelo did not come from tradition, but from a new flame within him. He wanted to become a sculptor in an age when sculpting was nearly extinct. He wanted a chisel in his hand, not a paintbrush. He wanted white chips beneath his feet. He wanted to be immortal. After all, fire, water, and the passage of time destroyed paint, but stone lasted forever. Donatello died in 1466, but despite never meeting him or receiving the benefit of his teaching, the influence of Donatello was undeniable. 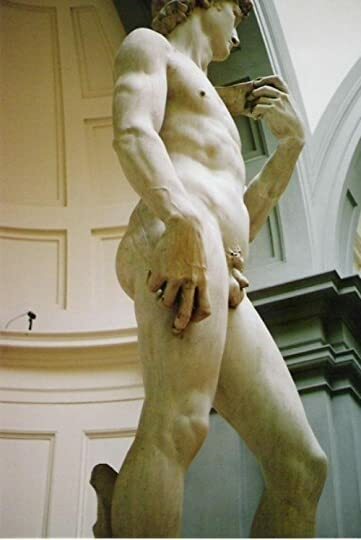 Much later, when Michelangelo got the chance to carve a statue that was supposed to represent Florence, he knew that it must be David. I was mesmerized by David’s hand when I took this picture in Florence back in 1992. You must see the statue in person to fully comprehend how amazing it is. That statue grew beyond representing Florence. To many historians that statue symbolizes the whole Renaissance. The title of this book The Agony and the Ecstasy makes me think of a daytime soap opera with overblown tragedy and illicit affairs driving the daily plot. The life of Michelangelo certainly reflects the title. There are so many twists and turns in the narrative of this artist's life. There are so many critical moments where, if fate had intervened differently, the world might not have ever known the name Michelangelo. Everyone wanted him to paint because that was what was in fashion. He could make a living painting. No one was interested in buying new marble statues. Buyers rich enough to afford sculptures were only interested in old Greek statues, freshly pulled from their earthy graves. 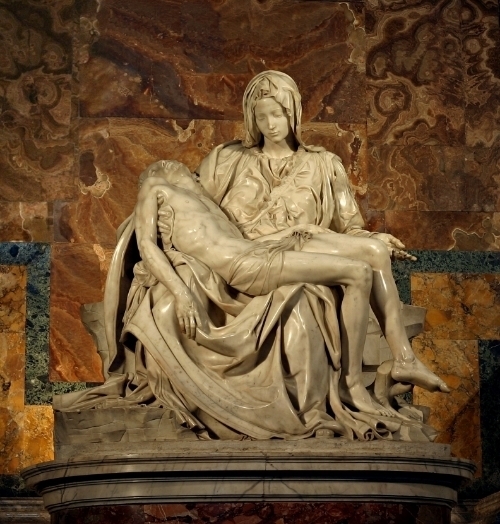 Michelangelo tried; he really did try to do what everyone wanted him to do, but the only time he truly felt alive, truly felt he was fulfilling his mission in life, was when he was liberating a figure from stone. Irving Stone waited six years to begin writing this novel. He arranged for Dr. Charles Speroni, an Italian professor at the University of California, to translate all four hundred and ninety-five surviving Michelangelo letters as well as the records and art contracts that he kept. 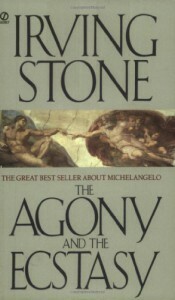 Stone wanted to be sure that the portrait he carved of Michelangelo by writing this book was based on as much hard data as he could find. Irving also, to add more authenticity, lived in Italy for several years as he was working on this novel so that he could see, taste, and feel the world that made Michelangelo. Some would disagree with Stone’s positive portrayal of Lorenzo de’Medici, but any man who collects ten thousand books and manuscripts to form the largest library since Alexandria is going to receive more veneration than cynicism from me. He held Florence together for his entire life, without holding any office, as did his father and his grandfather. He wasn’t the last of the great de’Medici’s, but let's just say that there was a long drought after his death. His successor, his oldest son, was known as Piero the Unfortunate if that gives you any indication of how well he followed the father known as The Magnificent. Lorenzo, as he did for many artists of the era, took the young Michelangelo under his protection and allowed him the freedom to express himself in stone. He recognized the passion in the young man. Unlike many powerful people that Michelangelo was going to be forced to work with, Lorenzo understood that all that was required of him was to stay out of the young artist’s way. It was quite the contrast with one of the later popes that Michelangelo worked for. Julius II insisted that he produce just about anything but stone sculptures. He forced him to be a bronze caster, an architect, an engineer, and most famously a *phewy*, let me get the paint off my tongue, the painter of the Sistine Chapel. Michelangelo was also a poet, not just a dabbler, but a really accomplished poet. Around her beauteous bosom in such bliss! Michelangelo was not immune to the allures of women. ”She makes my flesh crawl; I mean the flesh inside my flesh.” He had affairs with women, lifelong affairs that, even when they hadn’t seen each other in decades, their desire for each other still burned with a soft flame. They were women impossible to be with (crafty he was), either because of their station in life or in one case because she was the mistress of a powerful man. He had no interest in marriage. He would have made a poor husband after all. He could love them, but he would always cheat on them with the white marble flesh of his craft. Michelangelo was feeling a bit lustful when he created this version of the fable of Leda and the Swan. He was a contemporary of Leonardo da Vinci and Raphael. Da Vinci is held up as the prime example of a Renaissance man, certainly deserved, but until I read this book, I’d forgotten just how much alike he and Michelangelo were in the breadth of their abilities. These three talented men knew each other, but had little to do with each other. Michelangelo was such a loner. He was always so focused on his current project and usually pining for other projects already bubbling in his mind. By the time Mich (after spending this much time with him I feel I can take a few liberties with a nickname) died, he had 80 years worth of projects designed and ready to be made. You will feel like you know Michelangelo by the time you finish this book. Irving Stone casts his spells and puts flesh on the bones of a long dead artist and made me feel like I was walking the streets of Bologna, Florence, and Rome, with my hand on the shoulder of a genius. So much so that at one point I blew my nose and found only marble dust in the tissue. ”I’ll put my hand in fire” if it’s not true. I was most impressed with Michelangelo’s work ethic and perseverance. His ideas consumed him, but even when he had to leave his true calling because of the whims of more powerful men, whatever task they asked him to do, he did it to the very best of his abilities. Even unpleasant tasks he felt had to be done right. They had to be done with artistry and genius. 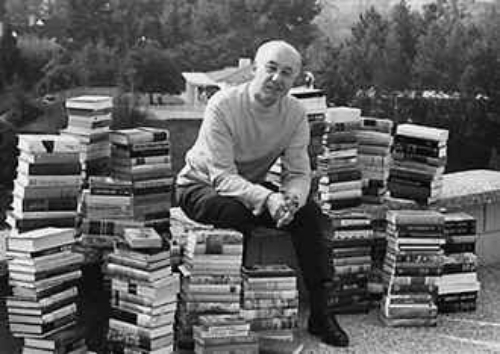 I was elated to discover that my GR friend from Oklahoma Steve Skenda was reading an Irving Stone in tandem with me. If you don't currently follow Steve's reviews I highly encourage you start. There is no one more passionate about writing reviews than Steve. 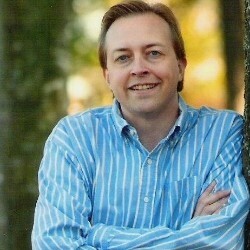 Besides being a talented writer he is also a great person. We hope by cross-pollinating our reviews that a new artist will emerge a Van Angelo or a Van Michel. Below is an excerpt from Steve's review. The lemon-yellow sun declared: “Vincent, you shall not look upon me and live!” Van Gogh resolved to meet the gaze of that yellow ball of fire that summoned him to the blaze of creation, for which Vincent was the kindling. Art was a jealous god that would have no other gods before it, and this fierce god demanded Vincent’s life. While mistrals lashed his spirit and the thick sky throttled him, he drank in the mad colors of the sky and the bursting flowers. A rush of beating black birds swooped down, struck him, engulfed him, and shattered him. Vincent absorbed the power of the sun, but Art conferred upon her devotee a diseased mind and an illumined soul. Living on moldy bread, rank coffee, and stale tobacco, Vincent exorcised his raw pain in fat brush strokes of violence. Wheat fields, wilds skies, suns, and sunflowers erupted from the sensitive heart, who was not a natural talent. Vincent produced 1,100 drawings and 900 paintings during the 10 years that he learned his vocation. Dead at 37, he feverishly served Art while ill, starved, desperately nervous, fatigued and discouraged.Link to the rest of Steve's review of Lust for Life.